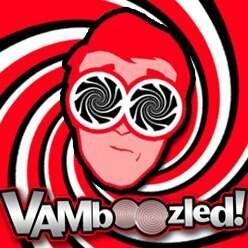 June | 2016 | VAMboozled! For those of you who have not yet heard about what has been happening recently in our neighboring country Mexico, a protest surrounding the country’s new US inspired, test-based reforms to improve teacher quality, as based on teachers’ own test performance, as been ongoing since last weekend. Teachers are to pass tests themselves, this time, and if they cannot pass the tests after three attempts, they are to be terminated/replaced (i.e., three strikes, they are to be out). The strikes are occurring primarily in Oaxaca, southern Mexico, and they have thus far led to nine deaths, including the death of one journalist, upwards of 100 injuries, approximately 20 arrests, and the “en masse” termination of many teachers for striking. As per an article available here, “a massive strike organized by a radical wing of the country’s largest teachers union [the National Coordinator of Education Workers (or CNTE)] turned into a violent confrontation with police” starting last weekend. In Mexico, as it has been in our country’s decade’s past, the current but now prevailing assumption is that the nation’s “failing” education system is the fault of teachers who, as many argue, are those to be directly (and perhaps solely) blamed for their students’ poor relative performance. They are also to be blamed for not “causing” student performance throughout Mexico to improve. Hence, Mexico is to hold teachers more accountable for what which they do, or more arguably that which they are purportedly not doing or doing well, and this is the necessary action being pushed by Mexico’s President Enrique Peña Nieto. Teacher-level standardized tests are to be used to measure teachers’ competency, instructional approaches, etc., teacher performance reviews are to be used as well, and those who fail to measurably perform are to be let go. Thereafter, the country’s educational situation is to, naturally, improve. This, so goes the perpetual logic. Although this is “an evaluation system that’s completely without precedent in the history of Mexican education.” See also here about how this logic is impacting other countries across the world, as per the Global Education Reform Movement (GERM). Recall from prior posts (here, here, and here) that seven teachers in the Houston Independent School District (HISD), with the support of the Houston Federation of Teachers (HFT), are taking HISD to federal court over how their value-added scores, derived via the Education Value-Added Assessment System (EVAAS), are being used, and allegedly abused, while this district that has tied more high-stakes consequences to value-added output than any other district/state in the nation. The case, Houston Federation of Teachers, et al. v. Houston ISD, is ongoing. 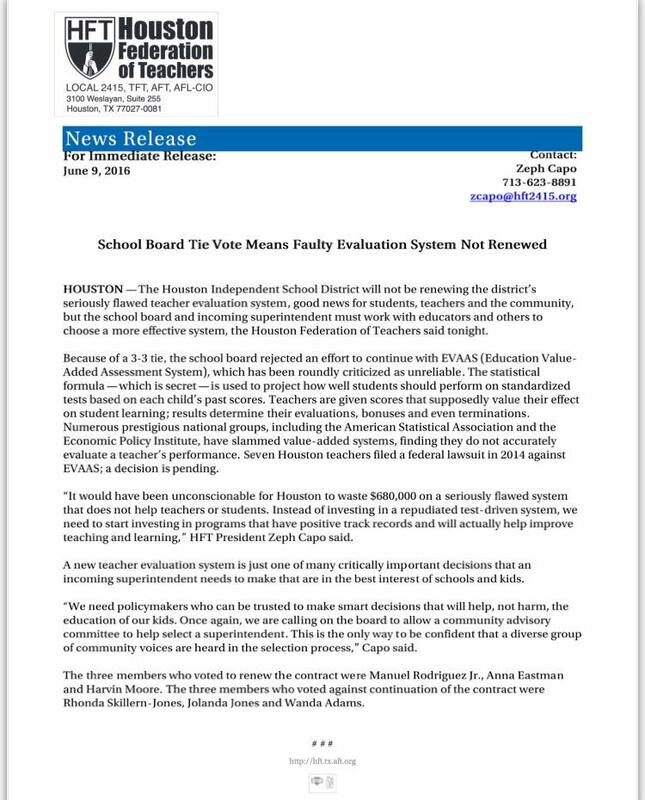 Apparently, HISD was holding onto the EVAAS, despite the research surrounding the EVAAS in general and in Houston, in that they have received (and are still set to receive) over $4 million in federal grant funds that has required them to have value-added estimates as a component of their evaluation and accountability system(s). While this means that the federal government is still largely in favor of the use of value-added model (VAMs) in terms of its funding priorities, despite their prior authorization of the Every Student Succeeds Act (ESSA) (see here and here), this also means that HISD might have to find another growth model or VAM to still comply with the feds. Regardless, during the Thursday night meeting a board member noted that HISD has been kicking this EVAAS can down the road for 5 years. “If not now, then when?” the board member asked. “I remember talking about this last year, and the year before. We all agree that it needs to be changed, but we just keep doing the same thing.” A member of the community said to the board: “VAM hasn’t moved the needle [see a related post about this here]. It hasn’t done what you need it to do. But it has been very expensive to this district.” He then listed the other things on which HISD could spend (and could have spent) its annual $680K EVAAS estimate costs. Soon thereafter, the HISD school board called for a vote, and it ended up being a 3-3 tie. Because of the 3-3 tie vote, the school board rejected the effort to continue with the EVAAS. What this means for the related and aforementioned lawsuit is still indeterminate at this point.